Rich Brewer says his company’s business is a lot different from the one many Virginians may think it is. The president and CEO of Charlottesville-based Commonwealth Assisted Living (CAL) oversees 22 senior housing communities across the state, providing families with a full range of housing and care options, from independent living and in-home care to assisted-living and memory and dementia care. “This is not a health-care business but a hospitality business,” he says. A longtime specialist in assisted-living and memory care, the company in January purchased the 100-apartment Heritage Commons independent-living community in Williamsburg. CAL has plans to add assisted living and memory care options at Heritage Commons sometime in the next few years. Like many independent-living communities around the commonwealth and the nation, Heritage Commons offers amenities and services that were once considered luxurious but are now fairly commonplace. At the Williamsburg facility, they include an on-site hair salon and fitness center, a club room, multiple lounges, 24-hour concierge services, daily recreation and educational activities, shuttle transportation services and meals prepared by highly trained chefs. Ken Newell, the founder and CEO of Richmond-based Manorhouse Assisted Living and Memory Care, confirms that the sales environment for independent living is much tougher than it’s ever been in his 30-year career. “The World War II generation had one level of expectations and sophistication, and the baby boomer generation has another that has far exceeded that of the World War II generation,” he says. 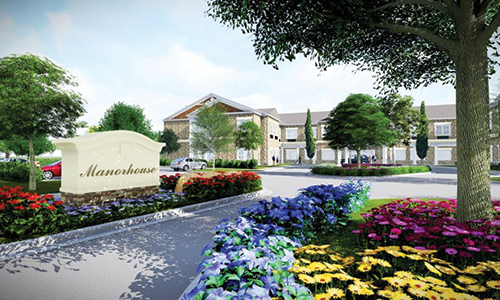 In December, Manorhouse broke ground on what will be a $30 million campus in western Henrico County offering independent-living cottages, single-family homes and 91 assisted-living and memory-care apartments. It’s scheduled to open in 2017. 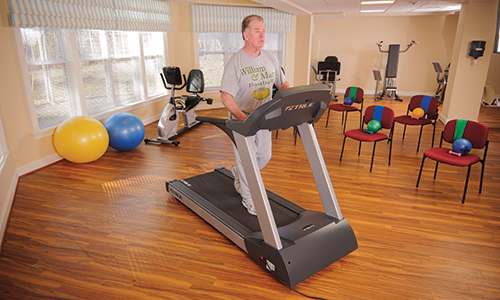 Like its competitors, Roanoke-based Harmony Senior Services offers the residents in its three divisions — independent living, assisted living and memory care — a full menu of activities tailored to meet their myriad interests and different levels of physical ability, says Brent D. Russell, chief operating officer. For companies more comfortable and experienced in assisted living and memory care, the foray into independent living is part of a long-term strategy. The idea, says Jim Bonnell, chief operating officer at Manorhouse, is to attract seniors first to well-appointed independent-living units and then offer these same tenants and their families the more acute medical care, dementia care and even skilled nursing facilities they may need as they age. Senior housing industry executives say that the financial and real estate crisis of 2008-2009 and the ensuing recession all but suffocated demand for new independent-living facilities, while the market for assisted-living and memory-care communities stayed fairly consistent. For several years, many seniors found they couldn’t follow through on plans to sell their homes at an attractive profit to finance a good portion of their retirement. So they bided their time, waiting until property prices recovered before contemplating selling what for many Americans is their largest financial asset. Now, with mortgage rates still hovering around historic lows and the U.S. economy and real estate prices on the rise, more and more seniors are selling and making the move to independent-living communities. In addition to using luxurious amenities and a wide variety of activities to help attract new tenants to their properties, senior housing companies have also made it easier financially for retirees to afford independent-living communities. For example, many communities have abandoned the decades-old practice of requiring tenants to pay five- and six-figure, nonrefundable “buy-in” fees. Others offer apartments and town houses on short-term leases at modest monthly rents. To be sure, not all senior housing companies in Virginia are anxious to enter the independent-living marketplace. Some are wary of its profit potential. “We have not gotten into independent living,” says Rich Williams, the senior vice president in charge of senior-living housing at HHHunt Inc., a real estate developer with headquarters offices in Blacksburg, Richmond and Raleigh, N.C.
“We’re trying to research where that segment is headed in the next five to 10 years,” he says. Historically, HHHunt’s senior-living division has focused on providing assisted living and memory care at the nearly two dozen senior-living communities it owns and operates under the Spring Arbor brand in Maryland, North Carolina and Virginia. To meet rising demand from the growing number of retirees and patients in need of more acute care, Williams says, “we are definitely committed to growth, but a controlled growth,” adding a couple of new communities per year during the next five years. HHHunt has discovered that assisted-living and memory-care facilities are “a little more secure and much more consistent” from a revenue standpoint, Williams says. Williams is leery of the changing economics of the independent-living sector, in which some companies offer almost endless lists of high-end amenities in an effort to attract tenants.